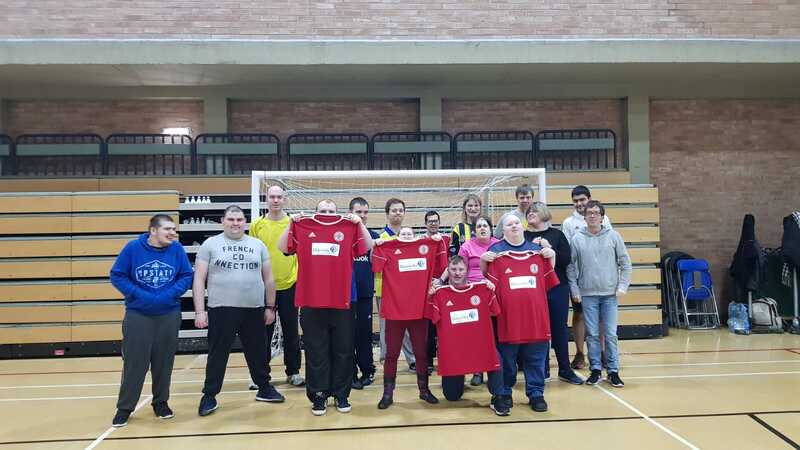 Accrington Stanley Community Trust are delighted to announce the launch of their newest team, Accrington Stanley Disability FC. The team will play in the Lancashire FA Ability Counts League, a competition that allows players of all abilities and gender, who have a disability that prevents them from participating in main stream football to play competitive football. The teams that compete in the league can be sides that represent football clubs, semi-professional or grassroots teams from the Lancashire area. The Stanley team is made up of keen footballers that have been attending our adult disability sessions that are held weekly at Hyndburn Leisure centre. We encourage anyone that enjoys football to come to these sessions and enjoy football not matter their disability. The monthly fixtures will take place at Playfootball in Preston. Transport will be provided from Hyndburn Leisure Centre to the venue and back to Hyndburn Leisure Centre for the team. If you or someone you know would like to join our disability football team please contact lee.walsh@stanleytrust.co.uk or call 01254 304071.